the Z-E2014M blends in perfectly with the cockpit of your VW, Seat or Skoda. Enjoy your songs and videos via USB or iPhone/iPod: the E>GO has a USB port with 80 cm cable extension to which you can connect a USB storage medium, as well as your iPod or iPhone. Whether MP3, WMA, Xvid or AVI, the Z-E2014M is perfectly equipped for playing the most popular digital A/V formats. 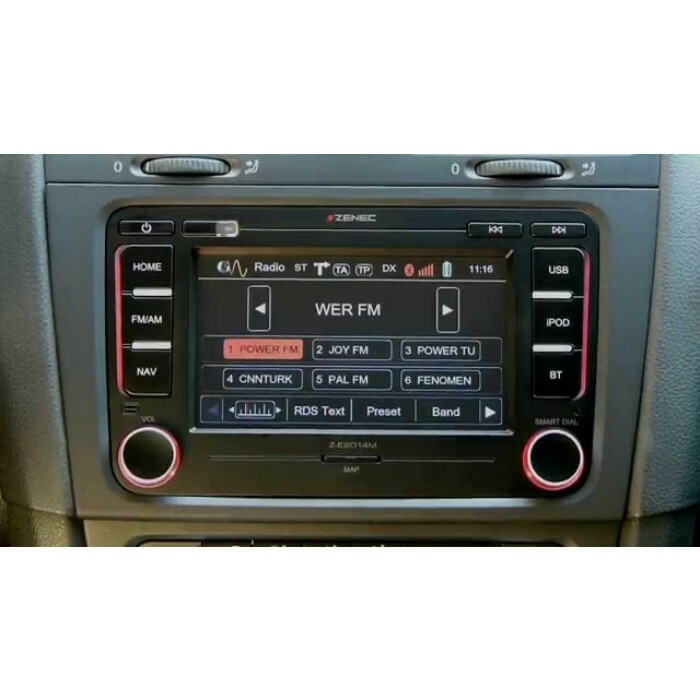 The newly developed FM tuner with DSP guarantees you perfect radio reception, even under difficult reception conditions. In regard to hands-free calls, this VW E>GO also relies on the latest top technology from the market leader Parrot. 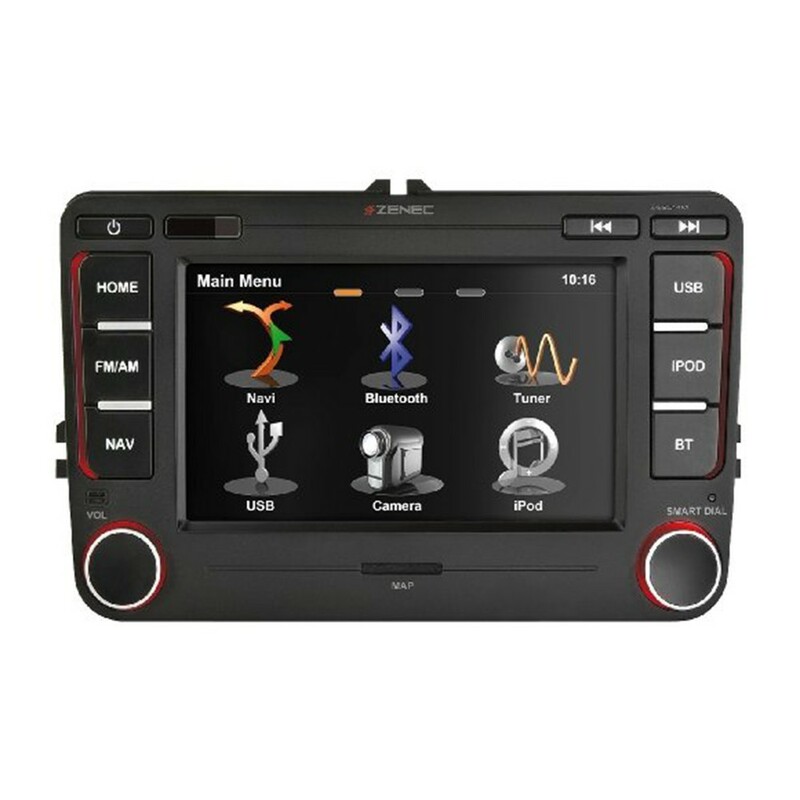 The Z-E2014M combines its cutting edge entertainment section with a precise, SD card based navigation system incorporating many new functions. These include the intelligent calculation of Real-Time Route Alternatives, Parking Around Algorithm, and Detour Hint function as well as the splitscreen display. Would this definitely fit a Polo 9n3 (2006)? Do you have a demo of this in your Birmingham store I could have a look at before purchasing? Would appreciate advice for best Zenec or Kenwood unit that would fit 2012 roomster and connect to park sensors and a windows phone please. You have a lot of choice in terms of head-units. Please call your nearest store who you would like to carry out the installation for you. The guy's will run you through your requirements and give you the options available. As a example please see attached link's for suitable head unit's.